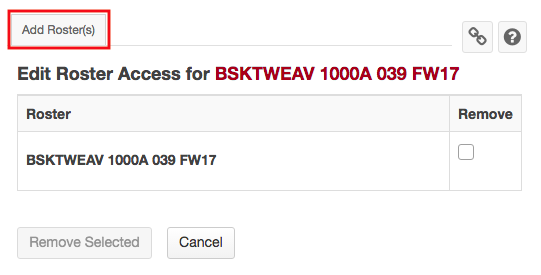 Class rosters are automatically added to a course site 1 month prior to the start of term. 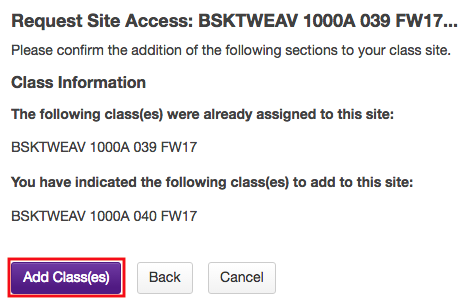 In addition, you may add additional class rosters into a course site, which can be useful for cross-listed courses or consolidating multiple sections. Go to the SITE INFO tool from the Tool Menu of your site. Note: If you have more rosters to add, click on the Save and add another section link to add additional sections. Place a checkmark in the "Remove" column for the roster(s) you want to delete.